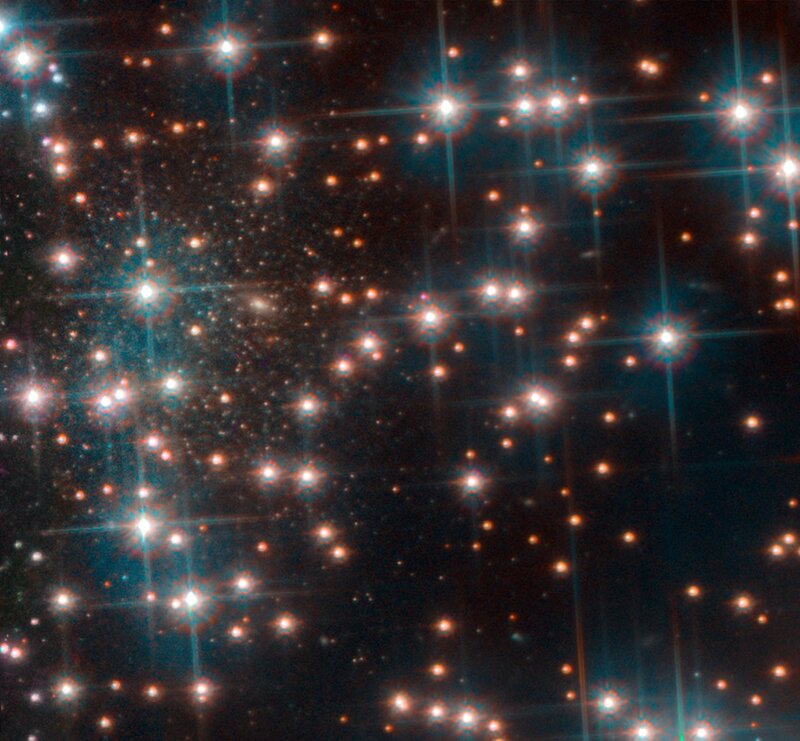 During relatively recent work on imaging NGC 6752, a globular star cluster located around 13,000 light-years from the Milky Way's halo, Hubble made a surprise discovery: a previously unknown dwarf galaxy. In the outer fringes of the area observed with Hubble's Advanced Camera for Surveys a compact collection of stars was visible. Measuring only 3,000 light-years wide, Bedin 1 is a fraction of the size of the Milky Way (our galaxy is at least 100,000 light-years wide). This "loner galaxy" is about 30 million light years away, or 2,300 times farther away than the clusters in the foreground of the image. Reference: These results will be published online January 31, 2019, in Monthly Notices of the Royal Astronomical Society: Letters [https://academic.oup.com/mnrasl]. Unbelievable footage from NASA shows the camera zooming in on the "tiny" galaxy, dubbed "Bedin 1", surrounded by thousands of dazzling stars. The Hubble Space Telescope is a project of global cooperation between NASA and ESA (European Space Agency). The galaxy's isolation means it rarely interacted with other galaxies, making it the equivalent of an early universe "living fossil", the space agency explains.